We have partnered with Mr. Edsel Ochoa to bring you a more fun filled tournament with more giveaways. 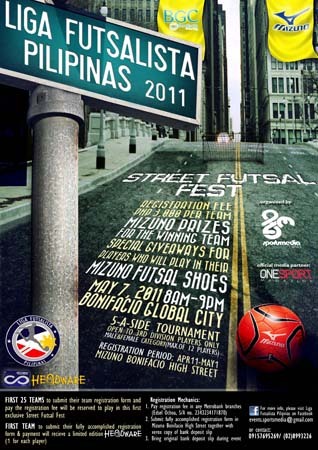 FUTSAL TOURNAMENT PLAYED ON THE STREET. So we can FINALIZE your team slot.